What a beautiful country we live in! The nature in Finland is so beautiful and it would have been so great to stay a little bit longer up in the north. 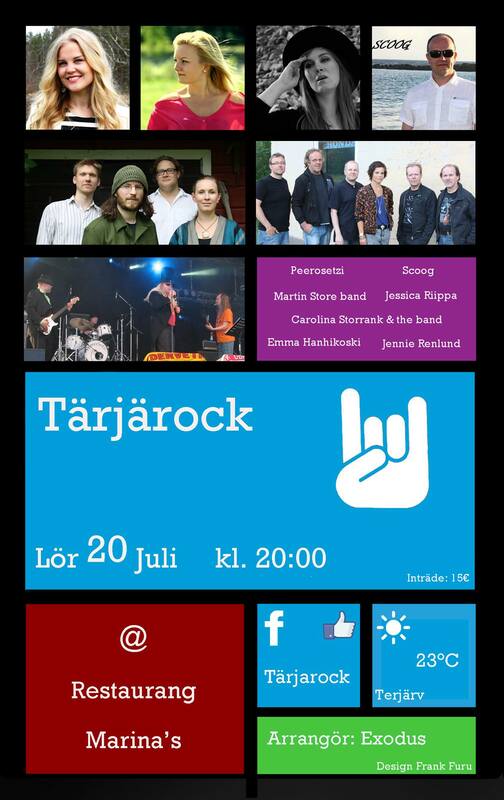 Next weekend it’s time for Tärjärock, and I will drop by and play a few of my own songs with Martin Stores houseband. Saturday the 20th is the date, and the gig is at Restaurant Marinas. Several other artists will perform as well. Drop in, have a beer, and enjoy local music! I’ll be selling my cd’s there, so if you’re interested grab a hold of me after the gig.